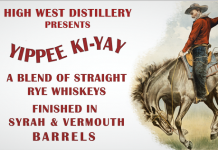 We haven’t reviewed many single malt scotch whiskys on Drink Spirits, because we feel it’s important to cover a wide range of spirits and not get too caught up with any one category (and it’s VERY easy to get caught up with single malt scotch). Truth be told, we are absolute lovers of single malt scotch whisky. When the day is at an end and we’re done sipping, tasting and writing, you’ll often find a nice peaty Islay scotch in our hands. We recognize that the single malt scotch category is intimidating. Even we get overwhelmed by the vastness of the category and the unfortunate fact that, in this category, age and price don’t always equate quality. Previously we brought you a deconstruction of one of the most popular scotch whisky blends, Chivas Regal 18. Chivas 18 is a fantastic entry point into the world of scotch whisky: it’s easy drinking, bursting with flavor and has fantastic complexity. But as much as we love Chivas Regal 18, it’s not a single malt scotch. Recently we received a sample of Cardhu 12 Year Speyside Single Malt Scotch Whisky. While it isn’t the biggest single malt scotch whisky we’ve tried, it is an excellent starting point to venture into the world of single malts. Cardhu impressed our tasting panel and we unanimously agreed that it is a perfect place to begin a journey into single malt scotch whisky. 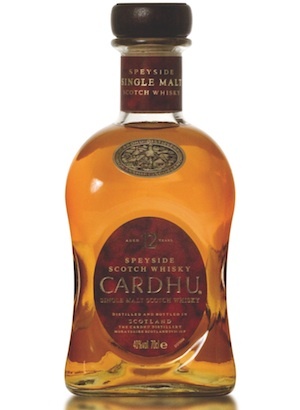 Cardhu 12 Year Speyside Single Malt Scotch Whisky (80 proof $40) – Light gold in color, this 12 year old single malt has a floral nose with nice cherry and nectarine notes. 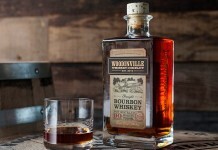 These fruity floral notes are backed up with an undertone of light brown sugar, chocolate and earthy clay. 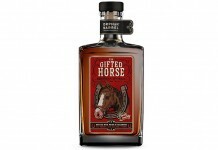 The entry is very smooth and elegant and it immediately opens with a burst of flavor that includes cinnamon, black cherry, maple and the slightest amount of smoky peat funk. The Cardhu finishes up nicely as it holds on to those smoky, peaty notes. There’s some nice complexity here with light and sweet top notes and more savory mid and undertones.